The Sea Otter is dark brown in color and spends most of its live in the water. They range in size from 30 to 100 pounds. They are believed to be the heaviest of all weasel species. They have a thick fur coat that allows them to stay warm in very cold water. 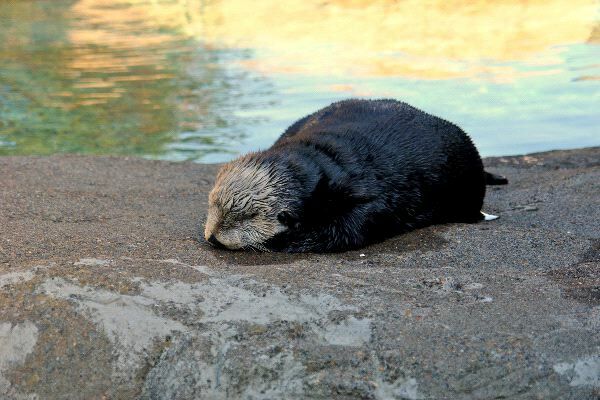 The Sea Otter can move on land fairly well but they feel more comfortable in the water. They also find their food in the water including fish, mollusks, and crustaceans. They can be seen doing a variety things in the water such as eating as it floats on its stomach and even messing around with others.